Anyone who ever met Charles “Cotton” Proe quickly forgot about the iron split-hook peeking out from his buttoned cuff where his left hand should have been. Instead they would be whirled up into Cotton’s friendly ambiance: his smile, firm handshake, and a gentle shine in his eyes. 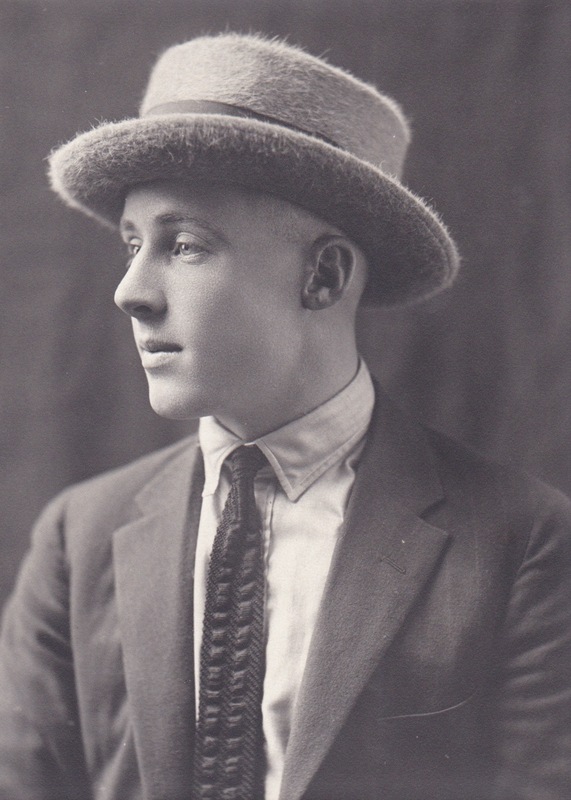 All who knew him called him “Cotton,” a nickname bestowed in early childhood for his nearly white head of hair. Although his shock of white became more blonde the older he got, the name stuck, becoming a small part of what made him such a unique man to those who knew him. The essence of a man’s life may be difficult to capture, especially in a scrapbook. But, for Cotton, his scrapbook sums up his character and fortitude well. Many of his triumphs, illustrating his ability to overcome his limitations, appear in newspaper clippings; those that weren’t written about might be captured in a photo or a story told by his only living daughter, Bobbie, sitting around the kitchen table drinking coffee, looking through his scrapbook. And with Cotton Proe, there’s never been a shortage of stories. Cotton with his family and neighbors in Nebraska. 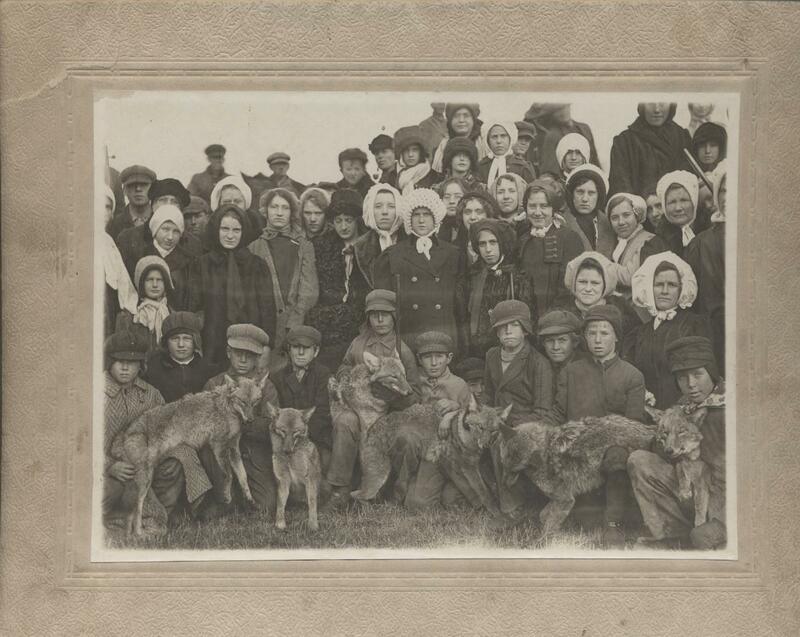 Cotton is first row, third from the left. 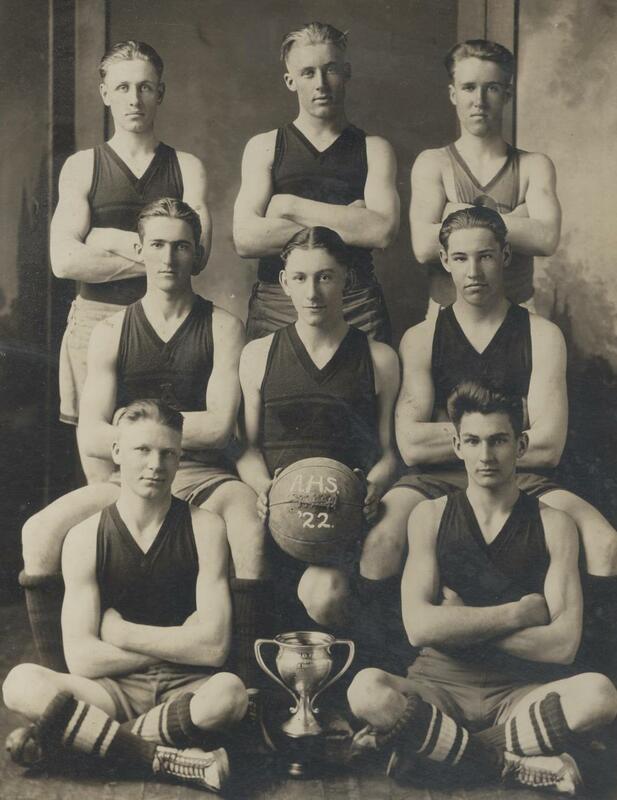 Cotton with his basketball teammates. He’s back row, center. When Cotton was about twenty-two, Colorado came calling and he made the move to Alamosa, where one of his first jobs was hauling bricks to the construction site of the Alamosa State Normal School. Years later, when his oldest great-granddaughter told him she was accepted to Adams State College he said, “Well, I’ll be darned, Lil’ Red. I hauled the first load of bricks used to build Adams State back in the early 1920s when it was just a patch of grass. Isn’t that somethin’?” Whether her great-granddad was more proud of her or his part in the history of Adams State, she wasn’t sure; but his enthusiasm was evident either way. One day, Cotton was driving to South Fork for a date when he spotted a beautiful woman standing on a bridge looking out over the Rio Grande River. Dorothy was helping a friend serve food to the Denver and Rio Grande Railroad crew at Masonic Park and was taking a break. Self-assured as always, Cotton pulled his Model T off to the side of the road and began to chat Dorothy up. Cotton quickly changed course and took Dorothy on a date that night instead. 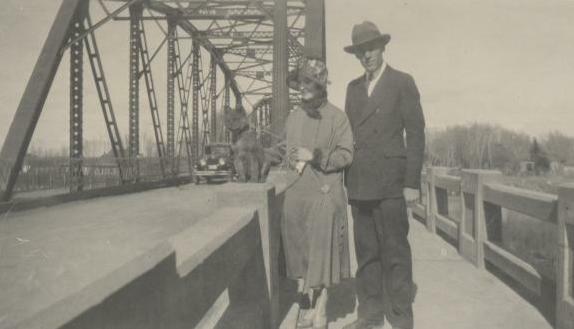 They married in 1925. 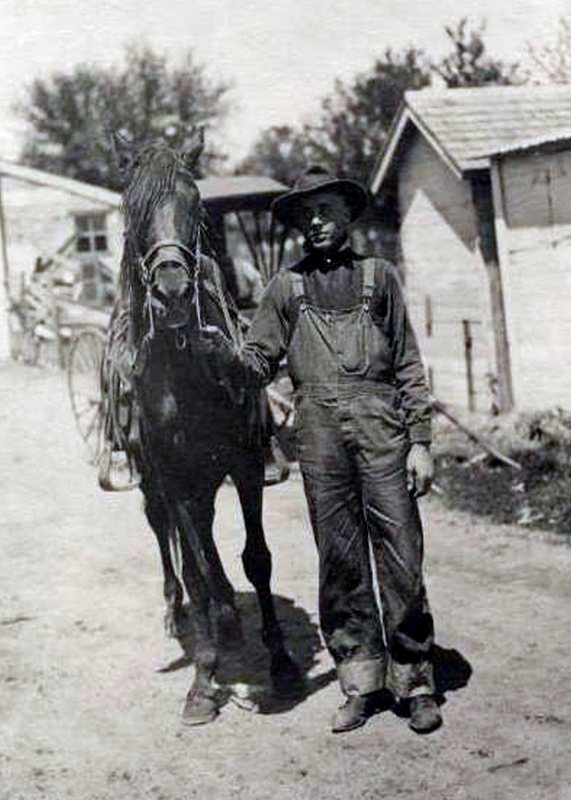 After Cotton’s life as a farm hand, the photos of his life fade out for a bit, but the stories don’t. There’s no newspaper article telling of the Denver and Rio Grande railroad train he saved from derailing as a young brakeman working his normal route from Alamosa to Chama, New Mexico. But his daughter Bobbie will tell of the night in a dark canyon when Cotton was alerted that something was wrong while working in the second engine car. He swung out of his car, hurrying across the side until he reached the locomotive engine in the front. Finding the engineer asleep, Cotton grabbed the brake, grinding the train to a halt before it hit a large boulder on the tracks. Those that know Cotton will say he recounted all of his stories with humility and humor and, although he was a hero in this story, he probably didn’t feel like one. 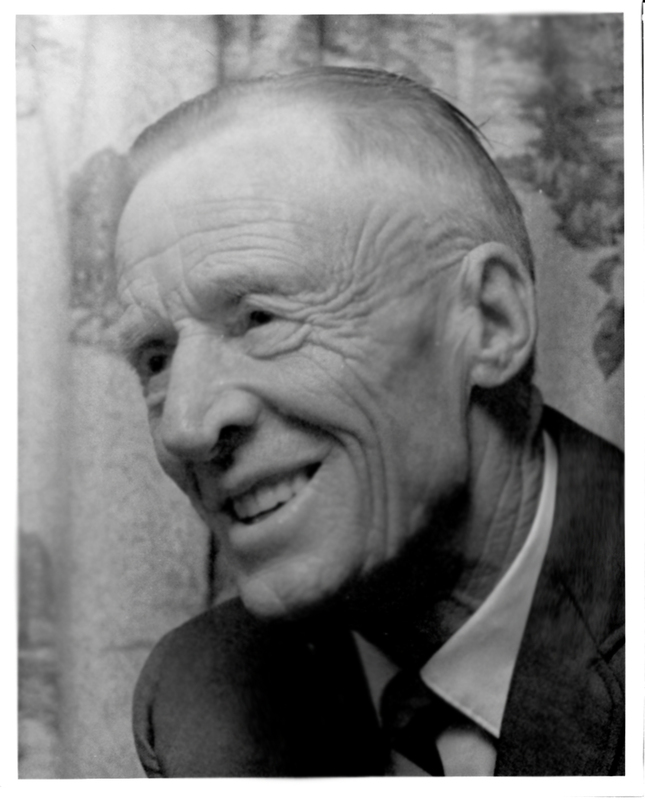 In the early 1930s, a couple of years after leaving Alamosa (after quick stint as a Hoover vacuum salesman in Wyoming and Limon, Colorado), Cotton moved his wife and young daughter, Elaine, to Cañon City. A few years later he found one of his callings as a prison guard at “Old Max,” Colorado Territory’s first prison, built in 1871. Cotton’s relationship with the inmates wasn’t typical, but nothing much about Cotton’s life was. He put together a baseball team of trusties and took them to play ball with other town teams at the baseball field. He’d cart along his daughters and afterwards he’d treat them all to a burger at Murphy’s Drive Inn. Bobbie still looks back on those days with a giggle and watering mouth—it was the one time she was allowed to drink soda: an icy-cold bottle of Orange Crush. For Cotton and his girls, the cons were extended family, even the murderers. One convict even made Cotton’s eldest daughter a beautiful wooden chest, which remained one of Elaine’s most precious possessions. Between baseball seasons with the inmates, Cotton’s youngest daughter, Peggy, was born premature. (Peggy would put together the scrapbook for her father decades later.) She was so tiny Cotton could slide his Masonic ring over her hand all the way up to her shoulder. Fearing she’d be dropped by a nun at the hospital, he built an incubator for her at home that used a light bulb for warmth. That story never made the paper either, but it survives in family lore. But amidst the newspaper articles of Cotton’s life, among his obituary and short articles telling of his volunteer work and civil duties, is the one that explains best how a man lost his large, strong hand: the one that built the incubator, stopped the train, and threw the winning basket, and overcame his disability to keep playing his beloved game of golf. “Up to 1943, I had a four handicap [in golf],” Cotton told reporter Bob Wood in an article published in 1973 and again in 1987. “In 1944,” he continued, “May 18th at 8 o’ clock in the morning, I cut my arm off in a sausage grinder.” Cotton was working in a grocery store, grinding meat, and when he pushed his hand in too far, the blades grabbed it. Cotton was rushed to a hospital in Colorado Springs where doctors managed only to re-connect his thumb to part of his forearm. Waking up from surgery, Cotton’s realization of his changed life must have been crushing. “Lying in bed there, when the doctor came in I said, ‘Hey Doc, can I play golf anymore?’ He wouldn’t answer me.” After Cotton’s surgery, he asked for the thumb to be removed as well. He had befriended a young girl in the hospital with a prosthetic leg and seeing that her leg didn’t slow her down at all, he decided he wanted to be fitted for a prosthetic arm and couldn’t have one with his thumb attached. Cotton endured more surgeries. He confided years later to his son-in-law that the subsequent surgeries were harder than the initial one because they had to amputate even more of the arm to accommodate the prosthesis. He was often “cranky,” Bobbie remembers, primarily because the shoulder strap that controlled his hook’s opening and closing would rub his skin raw. It took many drives to Denver before the substitute arm and hand fit well. Once Cotton’s pain was under control, his feisty spirit returned and it wasn’t long before he was on a mission to find a way to play golf. His goal: to build a prosthesis that would allow him to hold and swing his golf club again. Life went on for Cotton. He bought and remodeled an old theater on Main Street, turning it into a bowling alley. An old black-and-white photo shows a piece of Main Street with a large white bowling pin sign attached high on the brick near the apartment windows above the store-fronts. 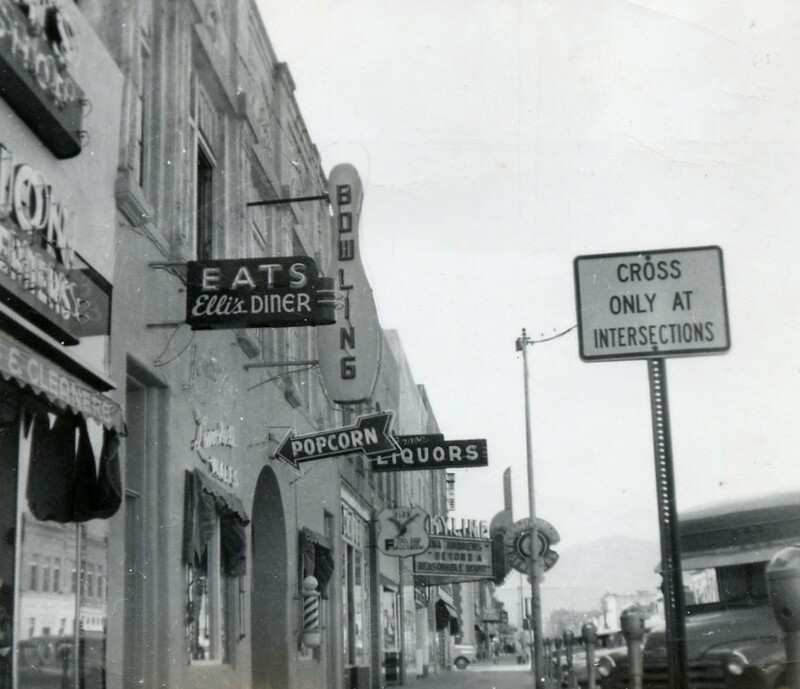 Nestled between two signs, “Liquors” and the “E-A-T-S; Ellie’s Diner,” is an arrow pointing to the door of the bowling alley that says “Popcorn,” perhaps left over from the theatre days. He set up bowling teams for the kids in town and Bobbie would do her homework there after school so she could bowl afterwards. He ran the place for years, hiring a couple of club-footed siblings to be pin setters. He’d buy the kids shoes and other items their family couldn’t afford, save their money for them until they had something they wanted to spend it on, and drive them home “way out to the boondocks” when the bowling alley closed at night. 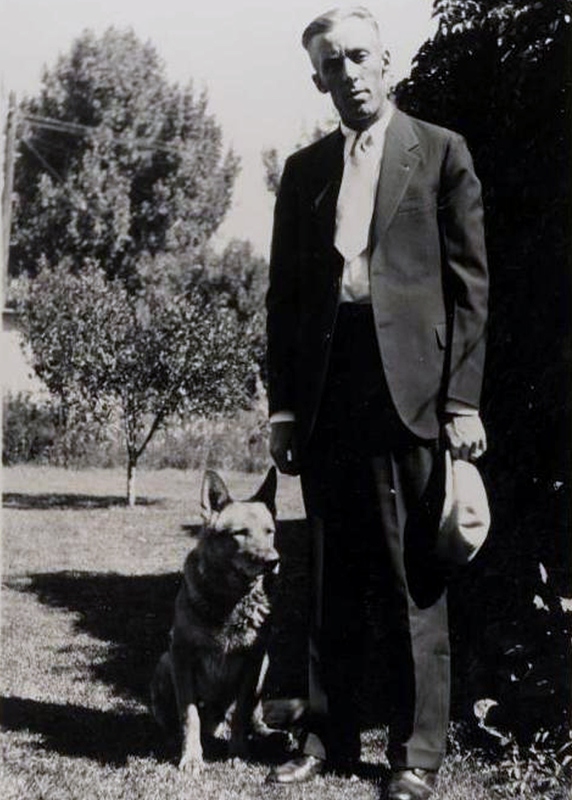 After Cotton left the bowling alley business, he began a twenty-year career as the superintendent of the “finest humane shelter in the United States,” according to a Daily Record article in January, 1969. Multi-page articles fill the scrapbook touting the new animal shelter (better known as the Humane Society of Fremont County now) with photos: the shelter with the caretaker apartment on top; brand new dog kennels and runs; Cotton preparing dog food for the nightly feeding; and his wife, Dorothy, bathing a stray dog. As well as taking care of homeless dogs and cats, Cotton and Dorothy often took in whatever family members needed taking in—somehow managing to fit everyone into the small five-room apartment above the shelter. One perk of being the superintendent of the shelter was that Cotton oversaw all filming of movies, like The White Buffalo starring Charles Bronson, near the Cañon City area if horses or other animals were involved, ensuring the animals were treated well. He quickly became a favorite of cast and crew on many films. “The actors loved Daddy and looked after him,” Bobbie remembers. In one film, an actor tried dismounting a horse when his foot became caught, dragging him behind the running horse. Cotton quickly grabbed another horse and stood in the path of the runaway horse to stop him. He did stop the horse but was knocked around a bit and broke some ribs in the process. But, Cotton did what he always did: saved the day in his humble sort of manner. A few pages over, a clipping shows Cotton accepting an award from the Elks (even though he wasn’t a member himself) for “Citizen of the Year.” They praised him for running the Fremont County Humane Society for two decades and for his care and love for animals. After a speech by an Elk member proclaiming Cotton’s “brotherly love” because he saved thousands of animal lives, he received a standing ovation from over 150 people. Cotton’s smile is humble yet proud. After Cotton’s loss of his forearm and hand, he went on to become a legend in small-town Cañon City. He encouraged wounded World War II soldiers who’d lost a limb not to give up and showed the vets, by example, life could continue with some hope and determination. He won trophies for his excellent golf game (and bowling) and folks hailed him when he still continued winning trophies at tournaments into his 80s. And although he’s the only one in the golf and bowling photos wearing long sleeves (a far cry from the sleeveless shirts showing off his muscled arms of his basketball days), he seems a happy man, someone who did his best to make the town he loved a little better than he found it. Those who knew Cotton were left with an impression of him as distinctive as his name. It was only fitting that the older Cotton grew, the more his hair color resembled the color it was as a child. Cotton told folks, “The hardest thing about gettin’ old is watching your friends die,” and because he died at 93, he outlived most of them. But his family keeps the stories and images of him alive—even if his friends can’t—picturing him on the golf course, holding the 9 iron firmly with both of his hands, his tuft of white hair glinting in the sun.